During the registration and/or ordering process users are being asked for information which is essential for processing the order and the delivery of the tickets. During the delivery process we may share the customer delivery address with external courier service such as Fedex, UPS, RoyalMail etc. We require from 3rd parties that provide us service to be compliant with the General Data Protection Regulation (GDPR), those 3rd parties include: payment processing and acquireres, courier services, email service providers, server hosting services, chat and affiliate software providers,etc. Any user who wishes to erase his personal data is invited to contact our privacy and GDPR officer in writing in the following email address: privacy[at]wowtickets.football. When can erasing personal data will be impossible? When delivery is already in progress and hasn’t been completed. In such a case, we need to wait for the delivery process to end and then erase the data. We use the email address and phone numbers you have provided us while registering and/or purchasing on our website in order to send you messages regarding your account, your order, the delivery of the order and any other order related communications. From time to time we may keep a log file of pages requested by our users. Security is highly important to us. We use secured socket layer protocol on all pages of our Site’s pages (see the “https” and lock icon on your browser). In addition, we are using other security measures to increase the safety of our data. We do not keep nor have access to credit card numbers. All of the online transactions are being handled by our payment gateway which is PCI compliant and using 3DSecure for all users who are required by their credit card issuing bank to provide a password before every online transaction. While delivering tickets to the shipping details the customer has provided to the Site, we may share delivery information only with courier services such as Fedex, UPS, RoyalMail. If you have opted-in to receive ticket alerts and special promos, we will keep your email on an external ESP (Email Service Provider) from which you can opt-out at any given time. The ESP we’re using is secured and follows all the necessary laws regarding keeping your privacy. In any case you would like to opt-out from our mailing list you can unsubscribe at any time. Delivery team will be available during match weekends. Booking with WoWtickets is Safe and Secure, 100% Guaranteed! 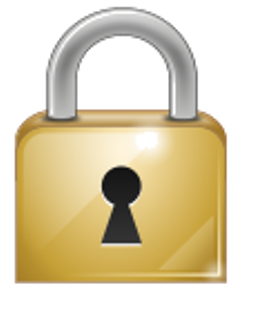 All information is encrypted and transmitted risk free using a Secure Sockets Layer (SSL) protocol.